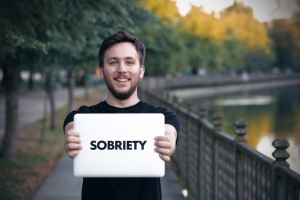 While achieving sobriety is hard, maintaining sobriety after drug and alcohol treatment ends is even more challenging. The conclusion of treatment means there is now access to drugs and alcohol, stress associated with everyday life, and a significant decline in face-to-face support. However, many recovering addicts are able to successfully maneuver this challenging time to achieve lifelong sobriety. These tips and tricks can assist in maintenance following drug or alcohol rehab and support long-term health and happiness. Follow the training received during treatment. The training provided at drug and alcohol rehab centers really does work. However, role-playing, practicing, reading, and reviewing techniques for staying sober only work if they are applied in real life when rehab concludes. Consider warning signs and triggers before making decisions and follow the steps you learned when exposure to triggers occurs. Stay busy. Adopt healthy, productive hobbies such as exercise, playing a musical instrument, or volunteerism to fill time previously occupied with destructive habits. Recovering addicts often feel bored or lonely when they quit using, so developing new hobbies and routines is critical for staying healthy long-term. Focus on physical and emotional well-being. When the body is strong, well-rested, and well-nourished, cravings resulting from exhaustion, loneliness, or hunger are less likely. Make a commitment to eat well, rest enough, stay fit, and seek emotional and mental support when necessary. Find an aftercare program. Many people feel so confident leaving an inpatient rehab setting that they never join an aftercare program and soon find themselves feeling tempted and alone. Joining aftercare is critical to continue and maintain the sobriety achieved in an inpatient setting. It increases your risk of long-term success. Talk to loved ones. Loneliness is a common trigger for relapse. Rely on trusted friends and family for camaraderie, support, and routine. Avoiding spending extended periods of time alone, even if it just means there are trusted loved ones under the same roof engaging in their own daily routines. Share struggles with this network, who can provide honest feedback and suggestions when needed. Rely on a strong support network. Utilize local groups such as Alcoholics Anonymous (AA) or Narcotics Anonymous (NA) to begin establishing a strong support network and learn from the mistakes and success of others. An established sponsor can also be a key component of successful sobriety. Avoid situations that may trigger a relapse. Resist the temptation to go back to friends who perpetuated the addiction in the first place; it’s the most dangerous decision a recovered addict can make. Avoid social gatherings that create unnecessary temptation by presenting the opportunity or pressure to participate in drug or alcohol consumption. Make a new commitment every day. Staying sober requires a renewed commitment every single day for the rest of one’s life. Some recovered addicts celebrate each day sober and renew their commitment daily by counting the number of days they have abstained from drugs and alcohol. Others recite special prayers or commitments, such as the Serenity Prayer, to renew their strength and commitment each day. Patients who emerge sober from drug and alcohol treatment have experienced their first success and first step toward long-term health and happiness. However, the next step brings brand new challenges – the stresses of everyday life, access to drugs and alcohol, and more tempting social situations than they experienced during their inpatient stay. Staying the course, following the training received in rehab, and the tips listed above can assist on the journey toward success and lifelong sobriety.